One thing that Ford does is produce and sell a lot of pickup trucks. These trucks are sold around the world and from time to time the transfer case needs changed. There are many different transfer cases available for Ford and they are all built by Borg Warner. Many of the replacement and used drive train parts that you will find are offered from this manufacturer. 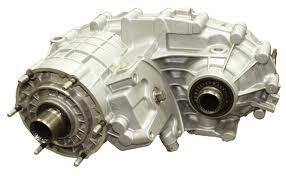 We can offer you a Ford F150 transfer case for less money than you think. Why buy used when a rebuilt one will last longer? Putting money into a used transfer case is not always the best idea unless it comes from a respected dealer. There are many part numbers that are used to number the Borg Warner transfer cases. Many of them are either manual or electronic shift versions. A few part numbers that are included in our inventory include BW1345, BW 1356, BW4406, BW4416 and BW4418. We carry all of the models that are popular and that are hard to find on the Internet. Since we are one of the largest rebuilders, we have a huge stock of these units ready to be shipped around the world. Your F150 does not have to be without the right transfer case because you don’t know where to buy. Give us a try. Our used transfer cases for sale are probably much different than what you are used to finding through the Internet. It is true that we do have pullouts and overstock from our distributors. It is also true that we disassemble each case assembly and clean up the parts and gears inside. There is no telling what you get with a used transfer case on an auction site that has never been cleaned. Many of the horror stories that we have read and heard about include broken gears, irregular fluid changes and bad bearings and couplers. We go the extra mile and recondition each used transfer case to make it a great buy. For our rebuilt versions, we do a little more work on them. We still take them apart and clean them but we also change many parts. Things like the spur and pinion gears must be changed out and then spin tested. This proves the accuracy of the gears. This will guarantee that there will be no problems when connecting these to a transmission. When every part has been changed out and tested, we go through a mechanical phase of testing one more time to verify our rebuild. No drive train unit will pass our testing until it goes through this last phase of assurance. We warranty our labor and the OEM parts that we use. Getting a 4×4 transfer case is not that difficult when you have a partner like us. We know that you want to get the best part that your money can buy and that’s what we provide to you. Use the quote form on this page and your price is instantly generated. The shipping cost is included. You can also call us at (888)-508-7153 if you want a phone quote. It’s easy. Don’t let your F150 sit another day without a Ford transfer case that will last thousands of miles.